Games have seen an influx of new studios, especially those with backgrounds in traditional animation. 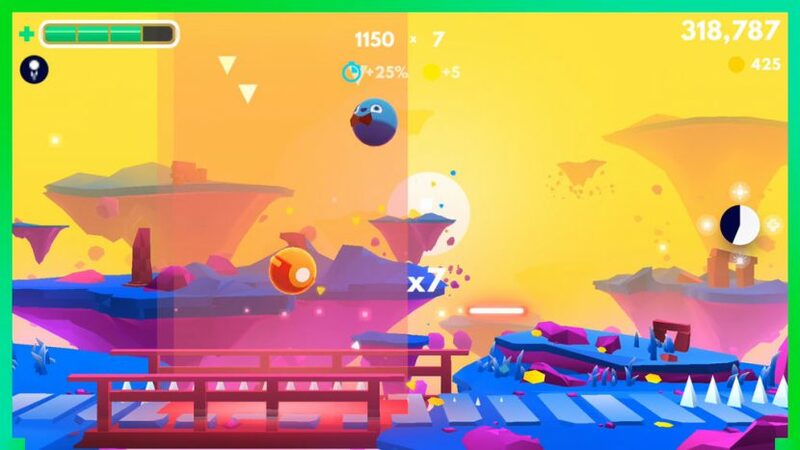 Bouncy Smash is one such game, born from the talents at IV Studio to serious acclaim even before its release this coming new year. You play a lively ball zipping, bopping, and bouncing around amid a cavalcade of lively enemies and jumping beats. We sat down with the project’s creative director Zac Dixon to get the low down on their upcoming title. Appolicious: Your studio specializes in vivid, colorful, lively animation. What lessons from ad and film media did you draw upon when crafting Bouncy Smash? Zac Dixon: Bringing scenes and characters to life is in our studio’s DNA. We love making things beautiful, but we’ve learned along the way that our projects can be only as good as their foundation. We can spend weeks polishing illustrations and animation, but none of that matters on top of a weak script or concept. The same goes for game development. We started Bouncy Smash over from scratch … twice – just to make sure our foundation was solid. This was from a coding standpoint, but we also wanted to make sure the core mechanics were fun and something worth building on. App: One of the big strengths of getting an audience into your game is how accessible it is, but then you have to flesh out one or two core mechanics. How does the IV team approach fleshing out something as simple as a bouncing ball and turn into a cascading array of gameplay options? ZD: We started working on Bouncy Smash almost three years ago. Back then, it was just a few bouncing circles on a flat platform – and even then, we couldn’t put it down. We spent the first few weeks seeing who could get the highest combo score – and right then we knew we had a simple core concept that was really fun. From there, we started drawing inspiration from some of our favorite platforming influences – from Super Smash Bros. to Super Meat Boy. We began testing out tons of different enemy types and wave modifiers like spikes, gravity zones, and buzzsaws. App: You cite the Nintendo 64 and PlayStation 2 as major influences on your work. What is it about 5th and 6th gen gaming that inspires your team so? ZD: The N64 is what really started my deep love for games. One of my best friendships in middle school began with the question, “Do you have Super Smash Bros.?” Up until that point, I had only played games by myself – and then all of a sudden video games became a social experience. To this day, some of my best friendships exist because of time spent gaming together. I think this was also hitting us all at a time in life where we started to realize there was a true craft behind creating games. I started diving into tools like GameMaker Studio, and my friends and I would spend weekends creating board games. Little did I know that this might become a career someday! App: What goes into crafting daily and weekly challenges for a mobile game? ZD: We had a few different goals for the daily and weekly challenges. The Arcade mode is randomly generated each time you play, so the experience is fresh each game. We wanted to do the opposite for the weekly challenge: Everyone in the world is trying to beat the same five waves of enemies. You’ve got all week to beat it, so over time you’ll start to remember what is coming and hopefully form a strategy to overcome it. A few of us played raids together on Destiny, and this was our way of bringing something similar (albeit much simpler, of course) to Bouncy Smash. Someday, we’d even like to add boss fights! And of course, a raid wouldn’t be exciting without the loot at the end. Beating the weekly challenge is the only way to get a coveted diamond in the game – allowing you to upgrade one of your cosmetic items with unique in-game perks and abilities. For the daily challenges, we wanted to change the pace up a bit: 1 wave, 1 health. There’s no room for error, and it ends up being a much shorter experience in contrast to the other two game modes. 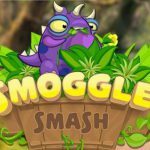 App: Were there any concepts that ended up on the cutting floor for Bouncy Smash? ZD: Tons. We have a massive list of ideas that won’t make it into the initial launch, but we’re hoping to bring a lot of them to the game in regular content updates. Local multiplayer is something that we were really excited about but had to cut for the initial launch. I don’t want to give too much away – but you can expect new maps, enemy types, and wave modifiers after launch. 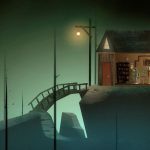 App: From Bouncy Smash to games like Jotun and OXENFREE, we’re seeing a widening of games produced with an animator’s mindset. Why do you feel that animation and games are overlapping now, more than ever before? ZD: Much like game development, animation is a combination of a huge amount of skillsets. It brings together writers, designers, illustrators, musicians, animators – and even programmers! Bringing all of these things together effectively can be incredibly difficult, but it’s equally rewarding. In order to create great work, you need to succeed in all of these areas – and game development is no different. You mentioned a couple already, but a lot of people have paved the way for animators diving into the game development scene. Personally, I was very inspired by Marcus Eckert and his mobile hit Wide Sky. I’ve always looked up to him as an animator – and to see what he was able to accomplish in this space gave me the courage to step out and feel like creating a game was attainable. Another more recent inspirational example is animator/director David O’Reilly with his brilliant game Everything. App: What are some of the team’s favorite aspects of Bouncy Smash? ZD: We wanted to make sure that Bouncy Smash had lots of hooks for different types of gamers to grab onto. Some of us love the game for the colorful art style, and others for collecting all 75 cosmetic upgrades. Inside the office, there’s also a pretty big rivalry on who’s best at the game (not me, unfortunately). We are score chasers through and through – each of us trying to find new strategies and play styles, battling to get the highest combos possible. I believe our producer Austin has the highest combo multiplier at 176x with a high score north of 16 million. 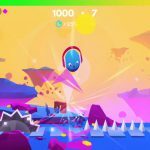 App: Can you give us some insight into Bouncy Smash‘s sound design? Some of the beats and sound effects practically blend in with the music. Was this intentional, or a happy accident? ZD: The sound design for Bouncy Smash was created by the fantastic Defacto Sound out of Washington, DC – and the music is by Ben Worley and Makeup & Vanity Set. I think both teams really knocked it out of the park in creating an audio experience that suits the style and pace of the game perfectly. We’ve actually worked with Defacto before on some animation projects and knew they would be a perfect partner on this. I love what they came up with. When we started on sound design, I sent over the music from Ben and Makeup as well as a few references that included the mobile game Dots. I’ve always been a huge fan of the sound design in those games. Each sound feels incredibly musical and fits perfectly with the soundtrack, and I wanted to bring that to Bouncy Smash. The core of the game is all about stringing together massive combos, so Defacto spent a lot of time making sure that combo sound created a rising tension while also feeling like it’s a part of the music. App: What advice would you give for a media studio looking to dip their feet into the gaming space? ZD: Just get started! I’ve found game development to be incredibly rewarding – and the community is especially helpful. Writing code can be scary starting out, but I promise you won’t regret it. Find a simple concept you love, and find some tutorials that are similar to that idea and get started. It will probably take you at least four times as long to make as you think it will, so just remember to enjoy the process. I would also highly recommend getting your game in other people’s hands as often as possible. We’ve had the opportunity to take the game to events like PlayNYC and TwitchCon – and the feedback we’ve gotten from those events has been invaluable. Not everyone is going to love your game, either – and that’s okay. Be a good listener and take what you can from those experiences. Also, go support some people on Patreon. We’ve been patroning people like MinionsArt and have found that there are so many people out there willing to show you the ins and outs of game development. App: Your team has some very snappy trailers cut together, in no short part due to your studio’s experience in advertising. 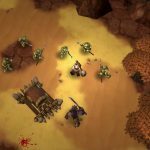 What would say are some best practices for mobile developers trying to spread the word on their games? ZD: Thanks! From an advertising perspective, we’ve found that it’s incredibly important to grab people quickly. I’ve heard that by the 7-second mark your audience has decided whether or not they are interested, so for better or worse you have to grab people fast. Overall, though, you don’t know what you don’t know. We’ve never launched a game before, so we’ve sought out people who have for advice and hired a great PR firm (Novy Unlimited) to help us figure out how to get the word out. We did as much as we could on our own, but (from what I’m told) there are tons of things you just don’t know until you actually launch your first game. Hopefully, we’ll be able to avoid a lot of pitfalls through tons of great advice we’ve gotten from the talented and generous people we’ve reached out to and brought onto the team.